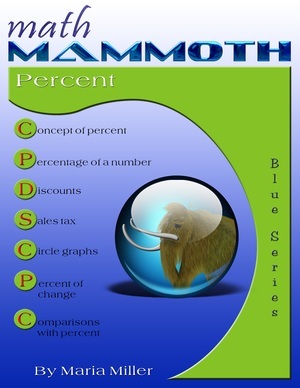 Math Mammoth Percent - a worktext for grades 6-8 (middle school). I have made several videos to match the lessons from this book. You can watch them here. 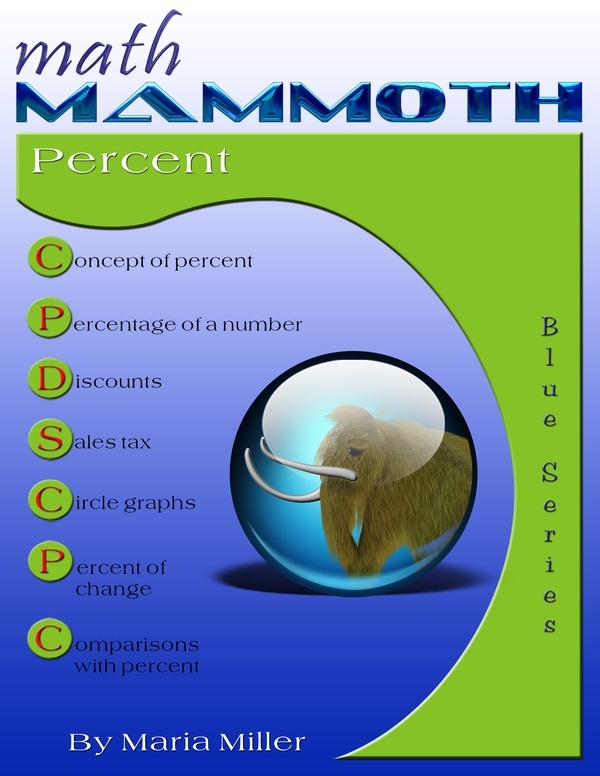 I have never really been in a position to write one of those glowing testimonials that every product puts on their website, but I just had to tell you that I truly AM thrilled with Math Mammoth. Amanda just finished the Percent book in record time and actually seemed to enjoy it. In the course of two books, she has gone from super-frustrated, tightened-down, hating math of all kinds to deciding that it's not bad after all and just breezing through it. Practically miraculous, if you ask me. She thinks ratios are fun (Is this really my child??) so we are doing Ratios and Proportions next, and life is just a whole lot easier at this homeschool than it used to be. Many thanks for a wonderful product that I can actually afford.